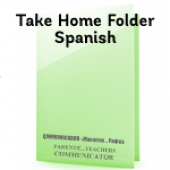 School Take Home Folders - Spanish Version. 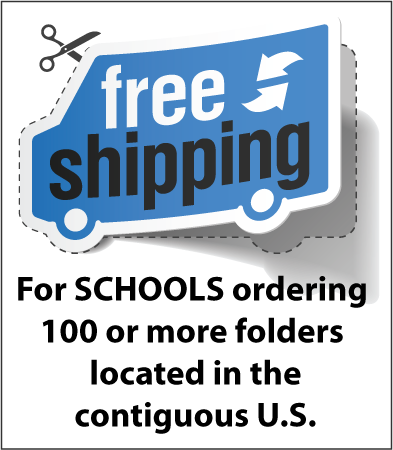 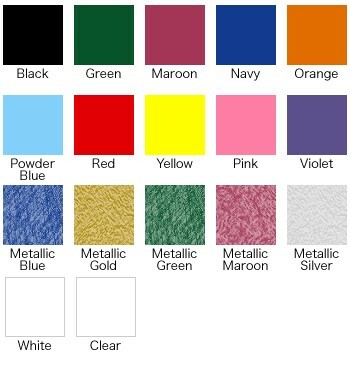 Minimum Order 100 Folders. 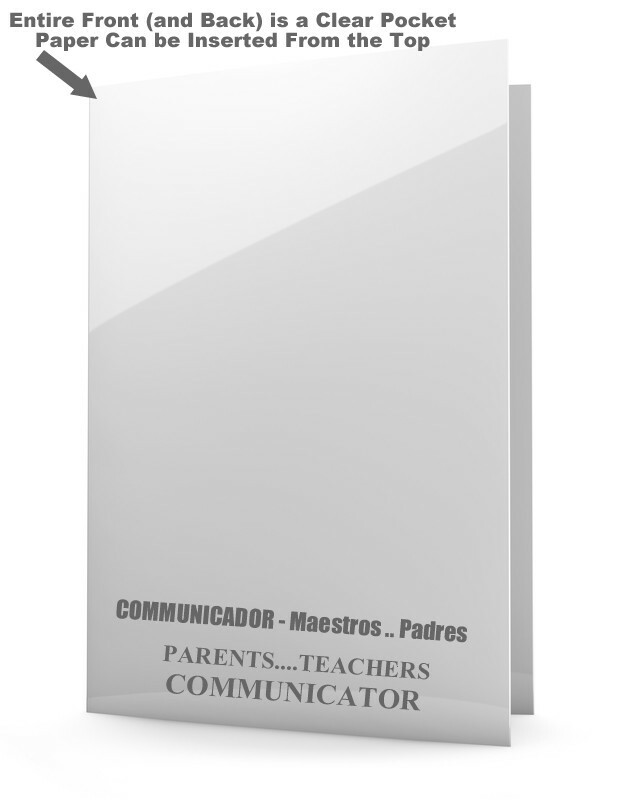 Folders for sharing papers back and forth (school and home) between teachers and parents. 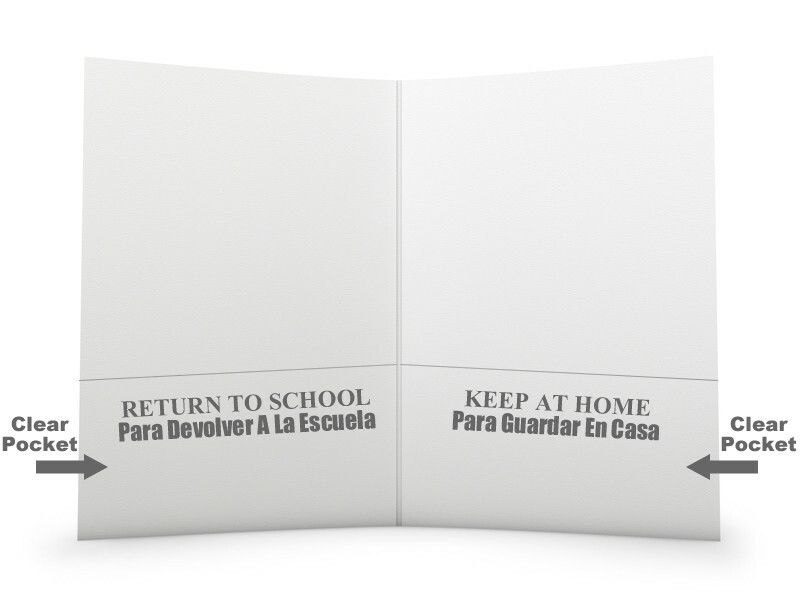 These are also sometimes known as "Friday Folders" for students to take work home on weekends and bring it back on Monday. 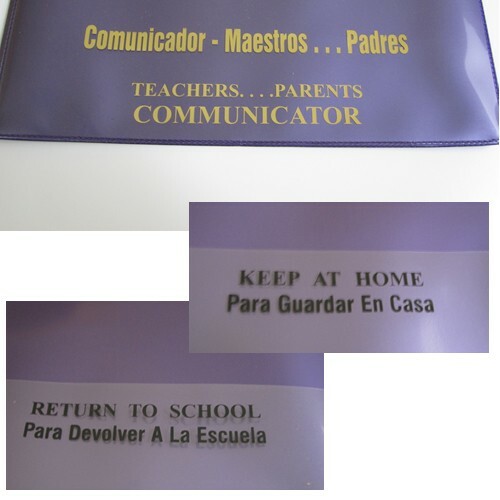 Front: "Communicador Maestros Padres / Teachers Parents Communicator"
Inside Pockets: "Para Devolver A La Escuela / Return to School" and "Para Guardar En Casa / Keep at Home"
Our bulk price is $1.65 per folder for orders of 100 or more. 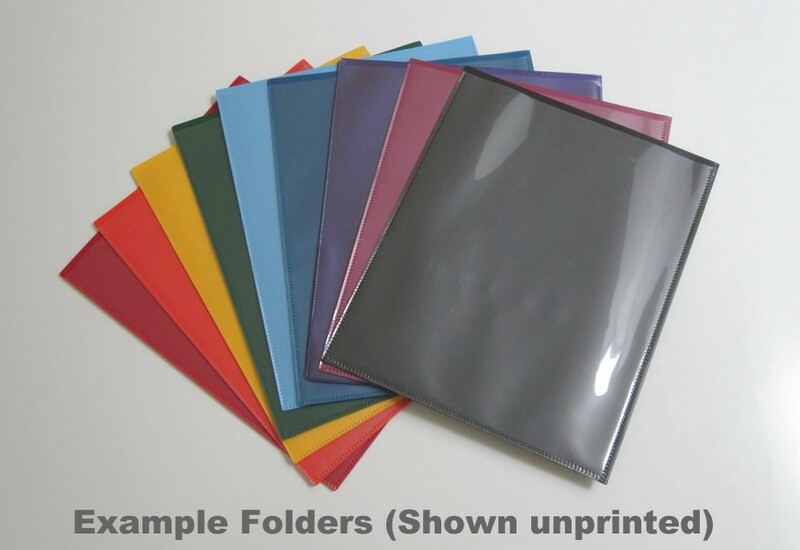 100 folder minimum quantity for this folder style.